PORTLAND, Ore. – January 30, 2019 – During the month of February and throughout the springtime, Pear Bureau Northwest (PBNW) is focusing promotional efforts on the importance of maintaining a nutritious diet and healthy lifestyle. The efforts will take a multi-channel approach through retailer demos and displays, targeted digital ad campaigns, and editorial and social media with a synchronized message highlighting the flavor, versatility and nutritional benefits of pears. The promotions will be customizable for retailers in the U.S. and Canada. February is American Heart Month and March is National Nutrition Month, and PBNW will coordinate a number of promotions aimed at engaging consumers. 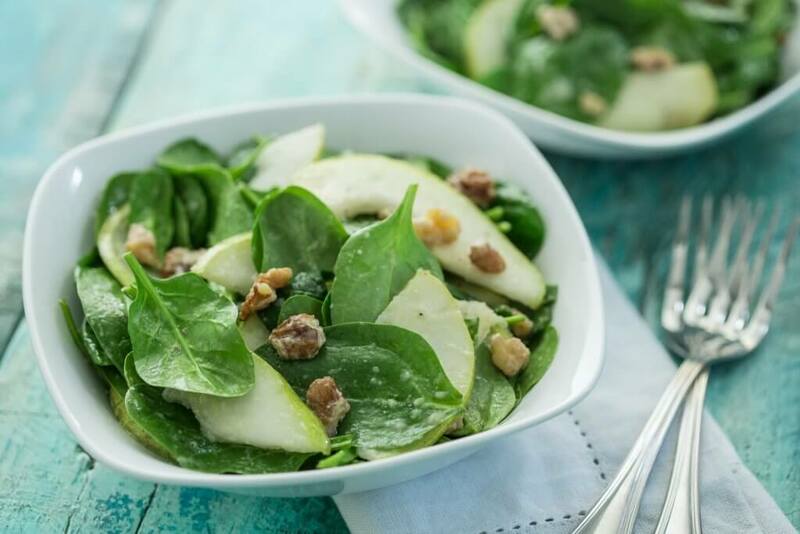 One timely promotion will be a collaboration with California Walnuts featuring a produce meal solution, which will place pears, walnuts and other salad ingredients conveniently in front of consumers. Retailers will also be encouraged to participate in display contests and feature timely salads, smoothies, roasted veggies and breakfast ideas in their store signage. PBNW will be talking about these same topics, with an emphasis on the high fiber content (6 grams per medium-sized pear) in pears and all 10 varieties being Heart-Check Certified by the American Heart Association, on social media platforms and in consumer newsletters to reinforce their efforts on the shelf. On the digital side, PBNW will continue to run targeted advertisements on social media while also working with a range of influencers within the healthy eating and wellness communities. Additionally, PBNW will be hosting an online sweepstakes throughout February and March, giving consumers in the U.S. and Canada a chance to win a custom-painted KitchenAid stand-up mixer. Much of the content used to engage consumers in this contest will emphasize pears as a heart-healthy food, with pears being an excellent source of fiber and a good source of Vitamin C, as well as being sodium-free, fat free and cholesterol-free. To keep up with all of Pear Bureau Northwest’s promotional activities during Nutrition Months, make sure to follow @USAPears on Instagram, Facebook, Pinterest and Twitter. Access American Heart Association® and USA Pears logos and visual assets here.